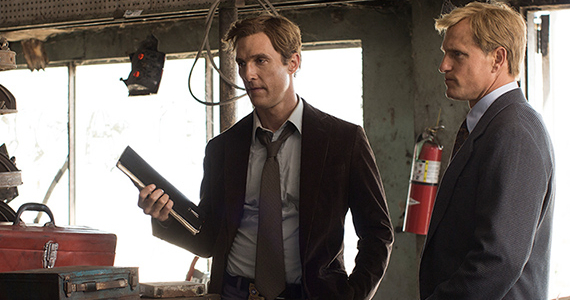 The pilot of True Detective seemed to sustain a level of exhilarating that was sure to win over plenty of viewers. The sensational story kicked off strong, but it was a level that I didn’t expect that they would even try to keep up. That being said, the second episode seems to settle into a pace that is more sustainable for a season’s run and gives me hope for the rest of the episodes. Now, that is not to say that I didn’t find the first episode great; I did. At that pace, however, one would think the series would start to cycle into sensationalism, always trying to top itself in terms of plot points and twists and turns. This can be seen in the pulpy, nearly comic American Horror Story and while it works there, I expect more from this show. The second episode puts the crime investigation on the slow burner, as it focuses more on the drama happening within Cohle and Hart. Coping with the job seems to be the theme of this episode. For Rust Cohle, we already knew that he drank to sleep and keep his own demons away, but for Martin Hart, his coping mechanism is more extracurricular. Sure, he drinks, too, but for Hart, time away from his wife and kids is how he’s able to wake up and do his job everyday. He finds escape in an affair with young woman named Lisa, played by Alexandra Daddario in an… eye-popping performance, to say the least. Hart justifies it to himself by saying it’s a way for him to keep his two worlds separate, but really it’s as much an escape from his job as it is from his family. Hart seems to be cut from the cloth of an older generation, where he expects to float through life as a father until he can wake up and go to work the next day. It also seems like he’s spent so much time away from his family in favor of work, that he has very little place within his own family. 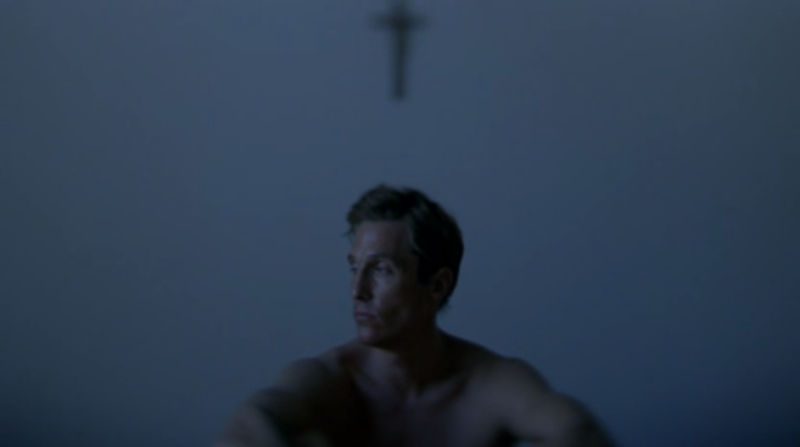 For Cohle, we are slowly starting to piece together what happened to his daughter. We now know that it was a car accident that happened right outside their home, but we’ve yet to hear the full story; you can guess what Rust’s involvement is in the event. 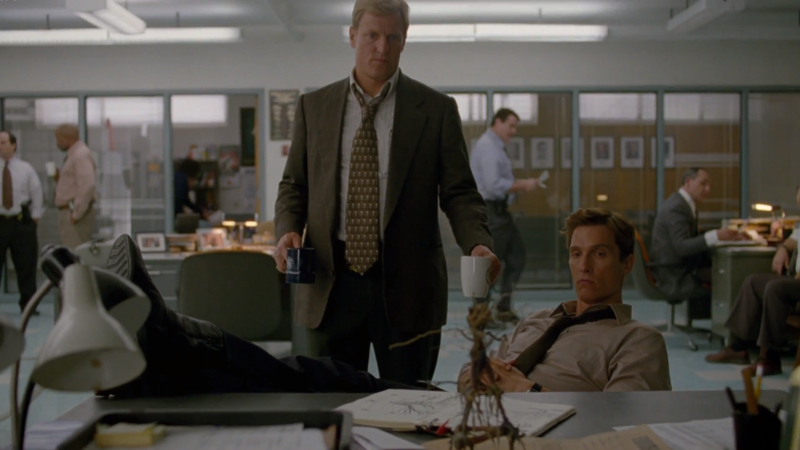 We also learn of Cohle’s hallucinations, a condition he simply copes with and does a good job of keeping hidden. The case is somewhat secondary in this episode; they make some strides and find that Dora Lange worked as a prostitute in a trailer park bordello and the end reveals a painting on a burnt-out church that bears a striking resemblance to the Lange body recovery. I like the fact that this story is going to take a long time to solve. It feels more like Zodiac than your standard police procedural; a genre I’m pretty lukewarm on. Overall, I like the promises that this episode makes. The characterization of the two main characters seem to be the strongest aspect of the show and luckily, it seems to be a primary focus. With McConaughey and Harrelson, this show will succeed without gimmicks of twists and turns; instead, as long as the acting is in the foreground, it’ll be the best new show of 2014.